The following is suggested for a two-week period. It is a good idea to send mostly older items since outdoor fun can be hard on clothes. Please assist your child with packing to help eliminate items arriving at camp that do not belong (cell phones, video games, expensive audio equipment, sports equipment, trendy clothing or expensive jewelry) and items that are prohibited (weapons, tobacco, drugs, alcohol and any other substances that can be used in an illegal manner). We allow campers to bring snacks with them to camp as long as they are kept in an airtight container. There are no products containing nuts allowed at camp. If food of any kind containing nuts is in the cabin it will be removed by the counselor. Camp Tockwogh is not responsible for any lost or missing items. If your camper has a problem with bed wetting, please send a waterproof mattress cover and be sure to notify the counselor. 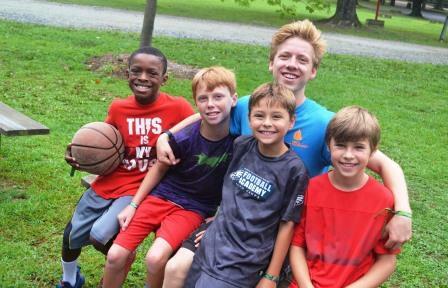 Please note: any personal sporting equipment brought by campers may be required to be stored in the camp office – lacrosse sticks, bows, bats, etc. Note: Phones will be confiscated and returned to campers with a parent present at check-out.